Got a project for the next few months. 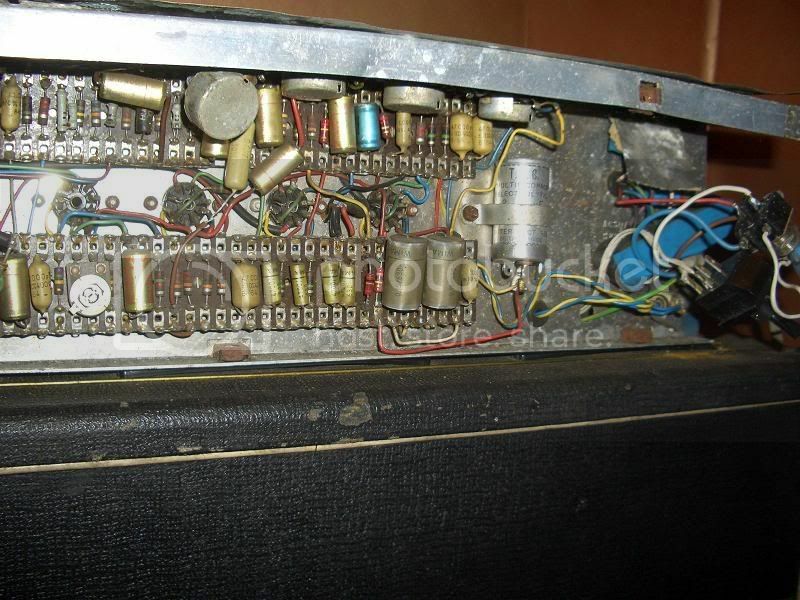 A 1960's Vox AC30. No idea exactly what year it's from, but I could be 65/66/67. It's pretty fucked. Needs a lot of work. The speakers are blown, the valves are gone, the inputs have been replaced, the cloth needs replaced, the tolex might get replaced(perhaps white), needs new pots, new caps (I think) and a motherfuckin' clean! I think this is the choke..
jesus christ, she needs some proper TLC. 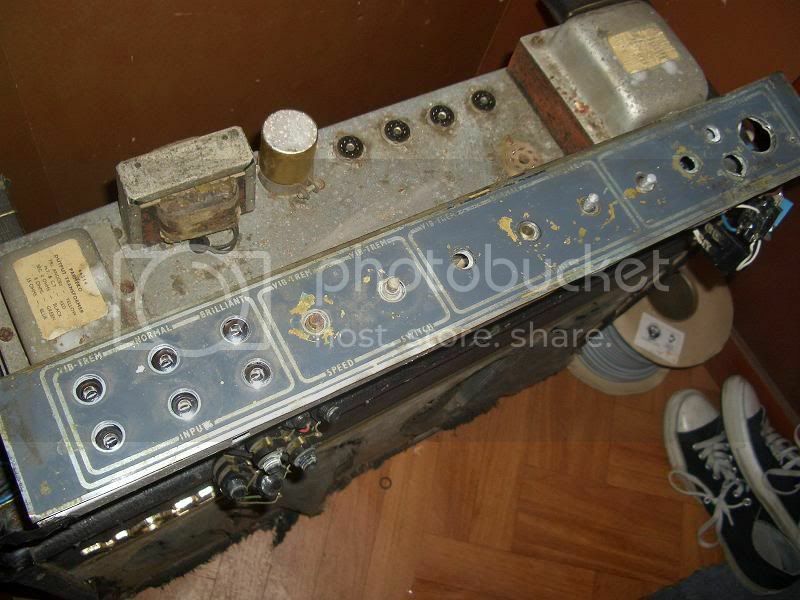 This will be my second AC30. I've been lucky. In fact, this is my second JMI AC30. That sounds like alot of fun. Was it found in a skip. 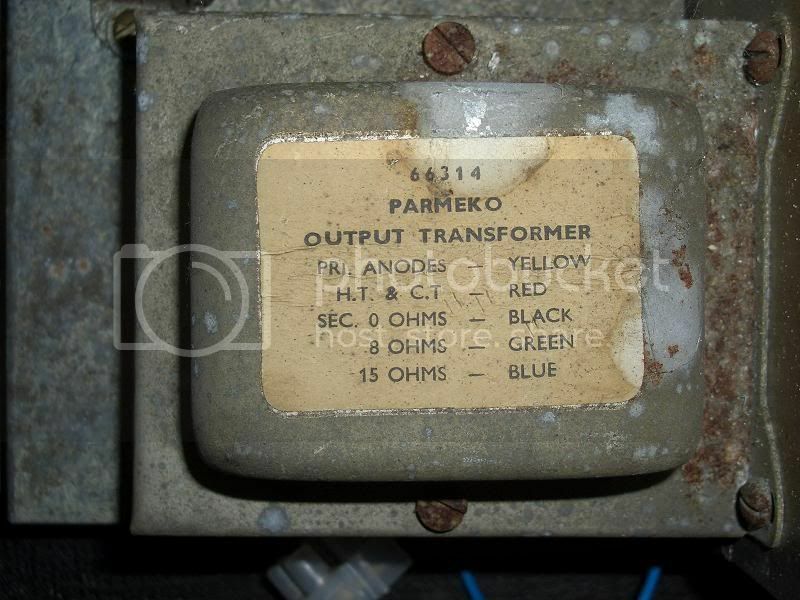 I knew a guy who found a Korg MS-10 synth in a skip. It worked after a tech friend fixed the power supply. Good luck on your journey solder. Nah, It belonged to a mate. i jest, he must have had it forever then? he got it from his guitar teacher for free about 13 years ago. It's a lot of cosmetic damage. most of the innards seem fine. how are you going to set about tidying it up? Well... I dunno. Haha. Both can be tackled head on. 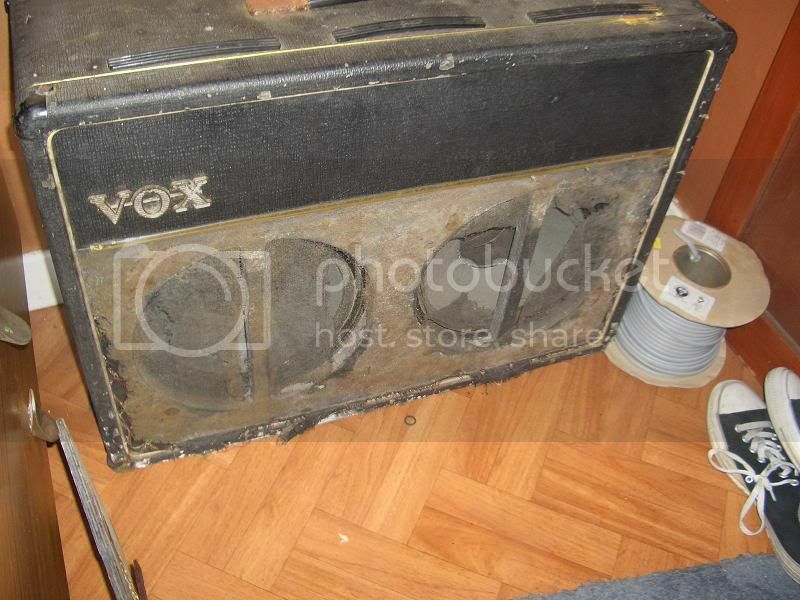 I reckon I'll clean the cab up first, clean the tolex. If it scrubs up well, then I'll keep the original tolex, if not... I might re-cover it white. Make it look classy. If I put a cloth on the front of it, then that'll make it look loads better. I sources a lot of the parts I need last night, so that's good. It needs handles and the gold seem that splits the baffle on the front needs replacing as it's broken. I think making it look good will go a long way to reducing what I think it needs. The innards are a task for me and my girlfriends dad(he's an engineer)... so we'll look at that shortly after. I'm only guessing what it needs tbh. Bet that amp could tell a tale or two! Hi, Not really sure but as it's the 'grey' panel instead of the 'candy/red' panel it will probably be late 60" The other thing to date is the plastic vent. Early ones were brass. 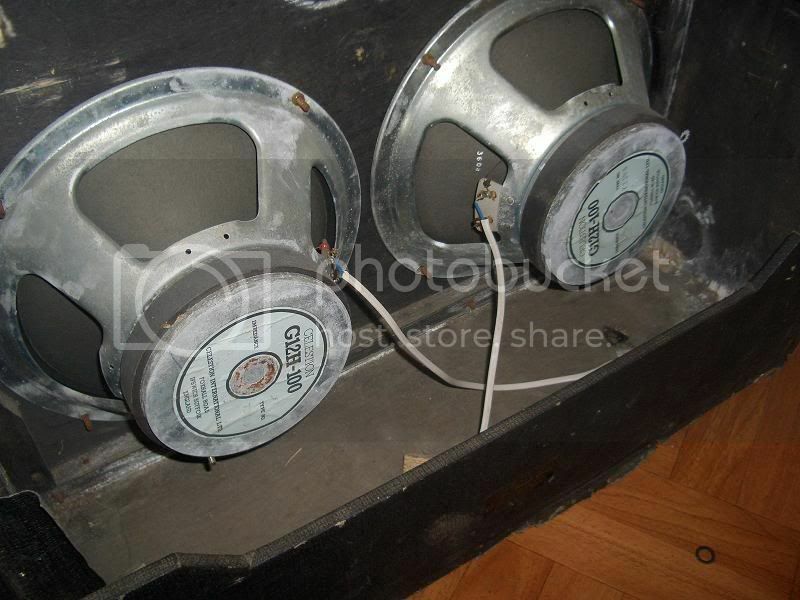 Don't think that's the original speakers, but that would not be a big deal. If you're looking for 'old' G/Backs let me know, I might be able to help you out. It will be a nice ampp when it's working. I've had two, a 61 and a 63. 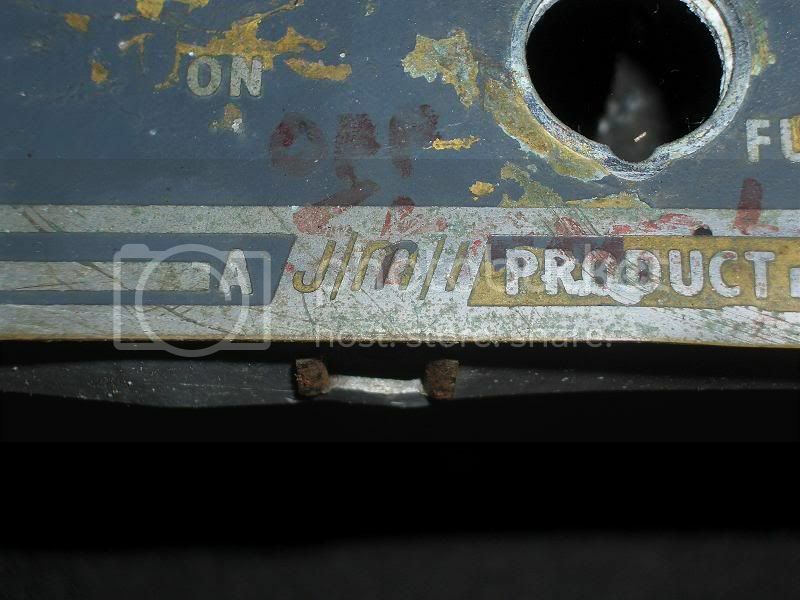 My 64 had a grey panel... they introduced them in the mid 60's, same with the plastic vents. Cheers mate... I think I'm probably going to source a lot of the cosmetics from the states. Mojotone have pretty much all the stuff I need. I think I know the German site you're on about... Tube-Town? 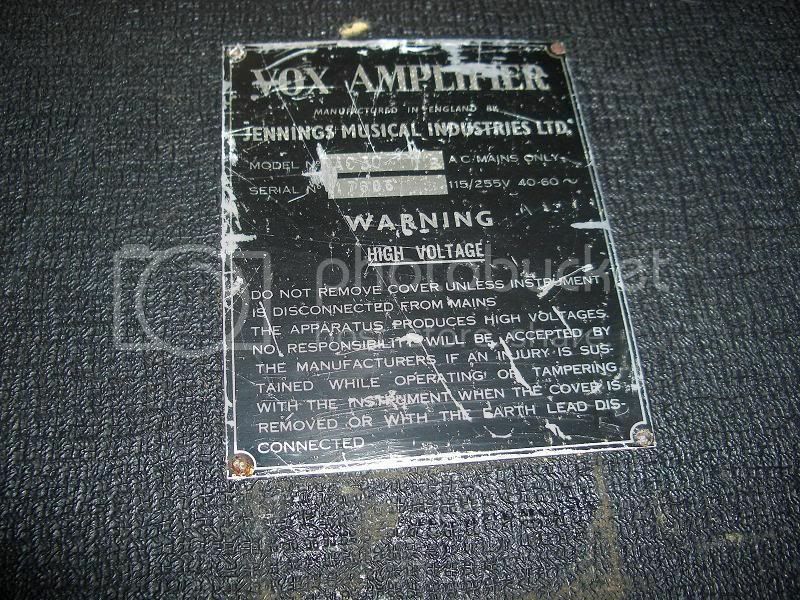 There's one bit I'm having a bit of trouble tracking down... the Vox style voltage selector... can't find it for the life of me. 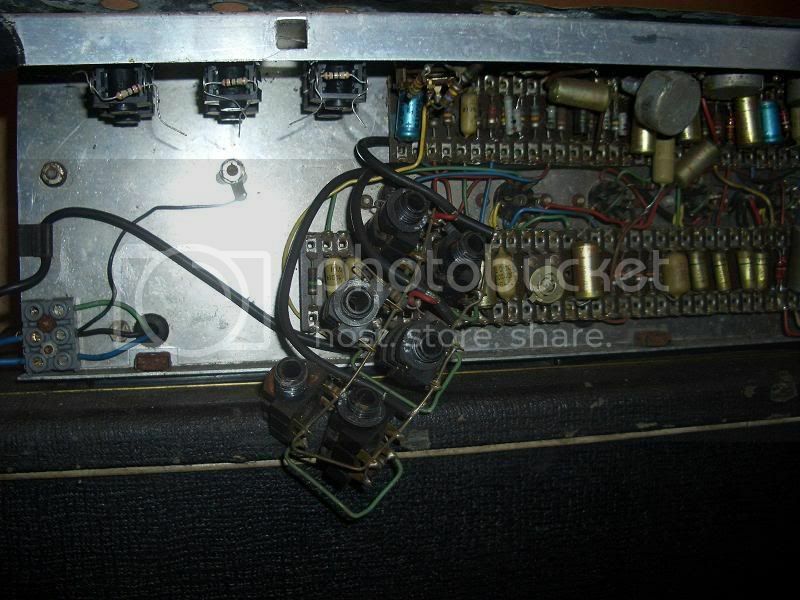 I finally started work on the amp... I ended up only paying 130 for it. I've looked at it over and over. Seems like a 1965 model. 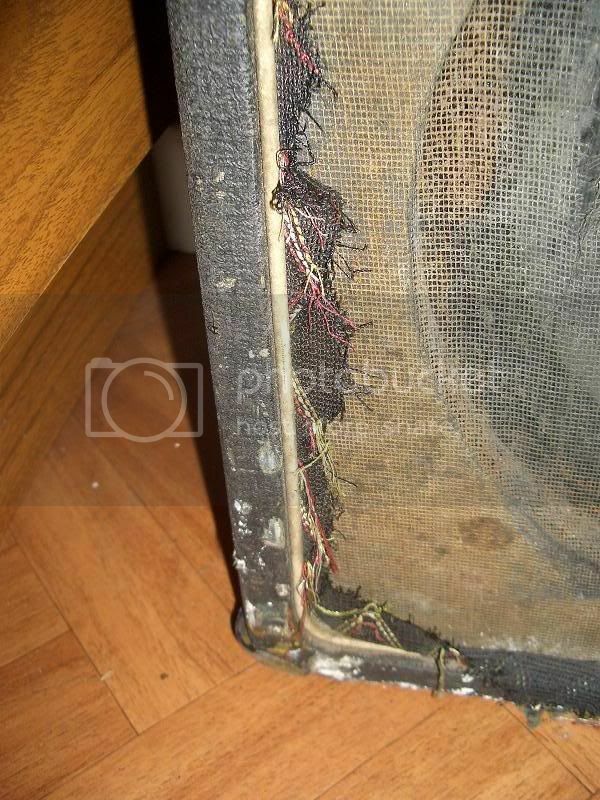 I've got the grill cloth coming tomorrow(my mate had it in his loft), I've got feet, corners, speaker scrim(it goes behind the grill cloth), white piping, a fuse holder, a rotary switch for the vib/trem unit and I'm bidding on handles for it. Still planning Greenbacks for it. Got my eye on a pair just now. Let us know how you got on. 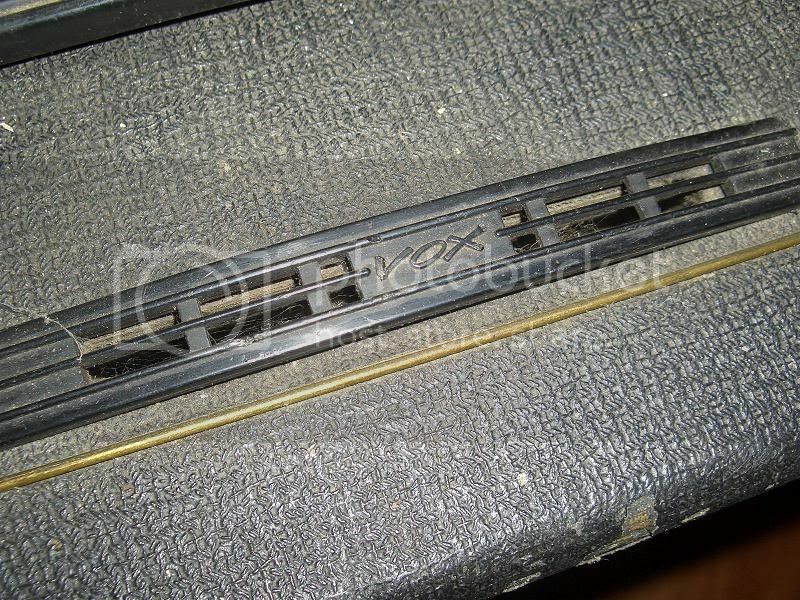 BTW, I found that if you close mic the ac30 by putting the mic ( used a SM57)about 10mm from the center of the speaker, right on the wooden slat, it gives a lovely sweet sound. I think it has something to do with cutting out the 'killer cone' syndrom.